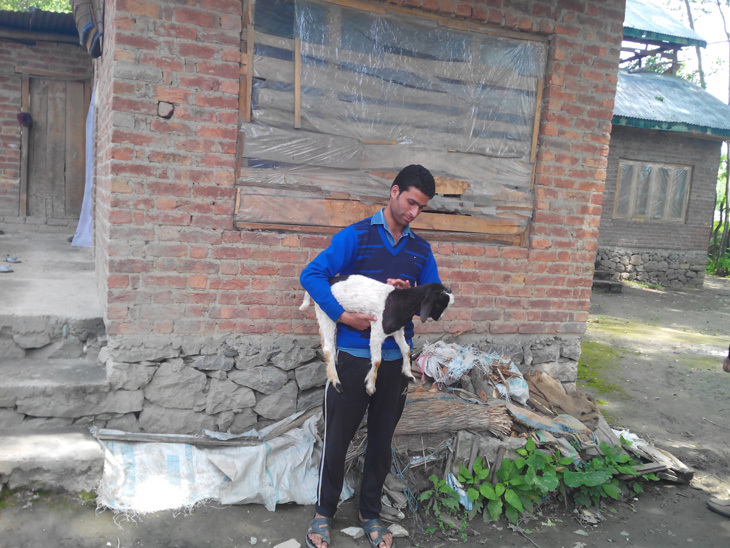 Fighting abject poverty and an uncertain future, Shakeel Ahmad Dar, 19, recently cracked the Joint Entrance Exam. But he has no money to realise his dream of studying to be a civil engineer at National Institute of Technology, Srinagar. 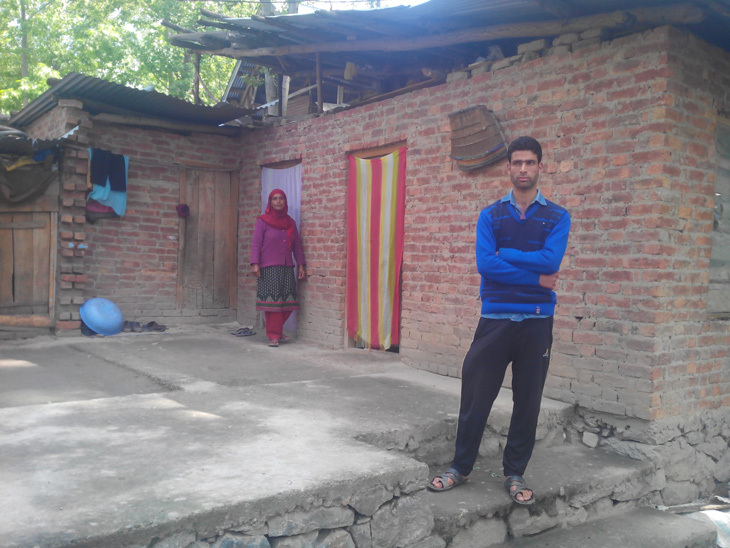 Shakeel lives with his mother Fareeda Begum and two brothers in a two-room half-built house in Shahgund, a hamlet in north Kashmir's Bandipore district, about 45 km from the capital Srinagar. The entire family lives in one room, which doesn't have a door or proper windows, while their goats are kept in the other. "That is our reality. There is no one around to help us," Shakeel tells Catch. "Our economic condition is miserable. I need financial help to continue my education and fulfil my dream," he adds with a sigh. Looking at his mother, his eyes moist, Shakeel says she is his "hero". "My mother is my hero. She has been my inspiration. Without her unconditional support, nothing would have been possible." Shakeel lost his father, Lateef Ahmad Dar, to diabetes in 2007. Fareeda has since been raising her children all on her own. "I sold my pheran (traditional bridal cloak) for 5,000 rupees to pay Shakeel's feel. 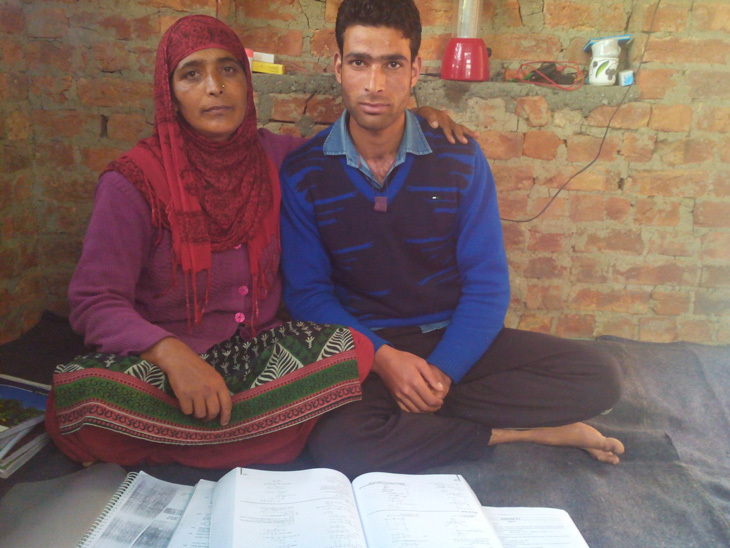 I worked as a labourer at times, but I ensured my kids continue their studies," Fareeda says. 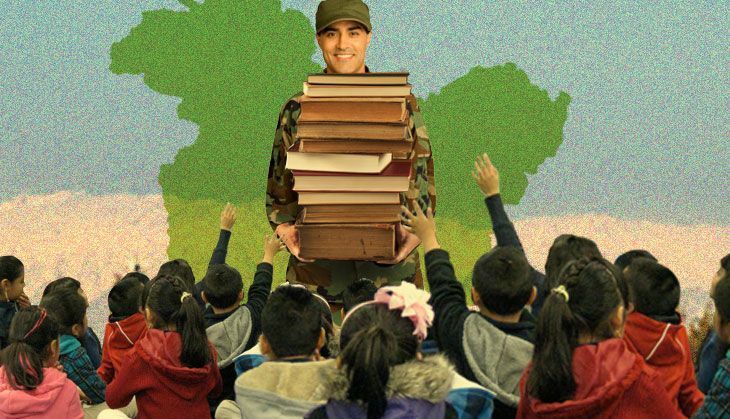 Shakeel was among 30 Kashmiri students chosen by the army last year for free 11-month JEE coaching in Srinagar. Fifteen of them have cracked the JEE. "I thank Allah for my success. The credit also goes to the Centre for Social Responsibility and Leadership NGO, its sponsor Tata Group, and the Indian army for providing free coaching, books, food and shelter at Super 30 Stars Engineering Coaching programme in Srinagar for about a year," Shakeel says. He's especially thankful, he says, to "Majid Sir", his teacher at Super 30 Stars. "Majid Sir provided the right atmosphere for education which was necessary. The army provided food and shelter. The CSRL provided books for free. Majid Sir encouraged us throughout even when we failed in some tests," he says. Now, battling a mixed emotion of hope and uncertainty, Shakeel says he will need about Rs 1.25 lakh annually for four years to see his dream come true. "I can't afford such a huge amount," he says. Shakeel was unable to sit for the last IIT entrance test as he could not arrange Rs 10,000 to pay for the entrance fee and travel to Jammu. While his father was alive, Shakeel studied at a local English-medium school, Baba Shakoor-ud-Din, Naidkhai. But with the sole breadwinner of the family gone, he had to shift to a government school. Shakeel's maternal grandfather helped the family through the difficult times, and his mother made sure he continued his studies. "My son has always been very keen to study. He is very bright," Fareeda says. Shakeel's two brothers work as part-time labourers in Sopore town, the hub of apple trade in Kashmir, to support the family. Shakeel himself works as a labourer during holidays. "As a routine, I study for 13 hours. I sleep for six hours," he says. What goes for the roof of the room Shakeel lives, sleeps and studies is a thin tarpaulin; the door and windows are yet to be fitted. If he does manage to get into the NIT, he wants to be a civil engineer. His next option is electrical engineer. And if he does become one, Shakeel says, he will "support students like me who are meritorious but can't afford to continue their studies because of poverty". Shakeel and his family are now hoping for a "miracle" - for the government or somebody else to pay for him to get admission in the NIT.